There are now people openly-asking whether bankers are human? Yet again, when given the choice between dishonour and economic depression, Sir Mervyn has chosen dishonour, but we will have economic depression. 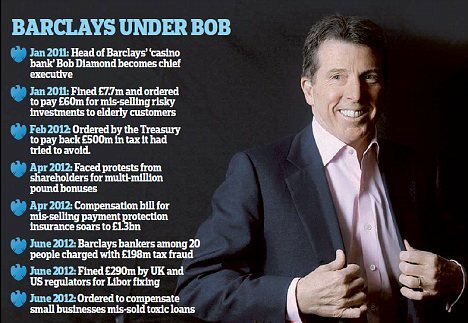 In reality, it was already a matter of public record that senior corporate officers of Barclays Bank (including current CEO, Bob Diamond) have personally-pocketed many millions of dollars each via a system of 'bonus payments' linked to the bank's projected 'profits'. 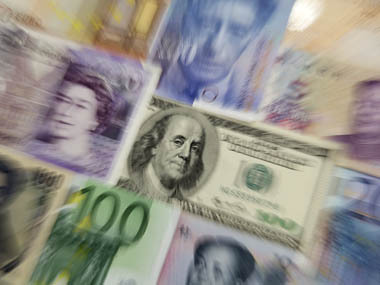 However (so far), it has been disclosed that, over a period of 4 years (2005-2009) a significant proportion of these 'bonuses' derived from the unlawful manipulation of a key-inter-bank interest rate which, in turn, affected the interest rates on many trillions of dollars of financial contracts around the world. In even plainer language, a large chunk of Barclays' 'profits' derived from crime. Predictably, these senior officers now claim that, because they had absolutely no idea of what their subordinates were doing, they are completely innocent of any abuse, but their subordinates are guilty. 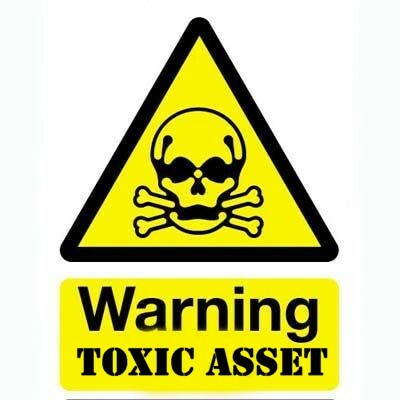 It doesn't take a genius (or an expensive inquiry) to deduce that the greedy little bosses of Barclays Bank set-up a 'Mafia-style' system in which a few, well-chosen, greedy little subordinates were placed in a position where they could manipulate the world-banking system. These bosses then simply looked the other way whilst, at the same time, they offered juicy 'incentives' to their de facto agents to commit serious fraud. Self-evidently this system is neither original nor unique. It was designed to prevent, and/or divert, investigation and isolate its instigators, and beneficiaries, from liability. 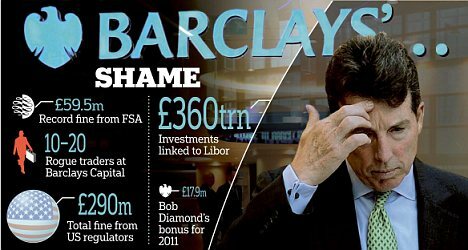 Yesterday, more than $5 billions was wiped off the value of Barclays Bank shares after it was announced that the company had been fined more than $450 millions by financial regulators in the UK and USA. However, this is just the tip of the iceberg, because Barclays faces the prospect of an avalanche of civil lawsuits, whilst 20 other major financial institutions are still under investigation for participating in the same global racket. Indeed, it is impossible to exaggerate the scale and gravity, or the potential consequences, of these latest financial crimes against humanity. It should never be forgotten that the 'Wall Street Crash' of 1929 and subsequent world economic depression (which were caused by the unfettered-greed of arrogant little men like Bob Diamond) led to the rise of 'Nazism' and, ultimately, produced WWII.